Chris is a retired orthopaedic trauma surgeon from the Royal Infirmary of Edinburgh and has over the last three decades worked on many aspects of Data Visualisation for medics and doctors. Early in his career he worked to improve bioinformatics education for surgeons and more recently has studied knowledge transfer with infographics and complex network analysis of social media networks. Kirsty Lewin joined TRI as an Associate Research Fellow. Until recently, Kirsty was working for the Scottish Government’s Energy and Climate Change Directorate, where she focused on Climate Change plans, the Adaptation Programme, Climate Challenge Fund and Climate Justice Fund. 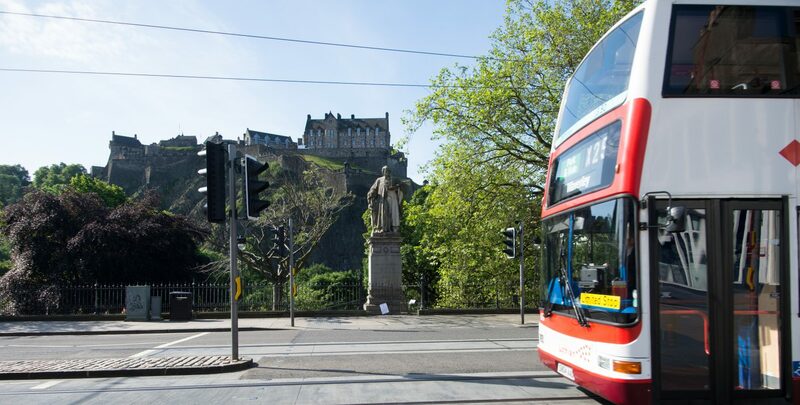 She previously worked in the Transport Directorate and during that period worked closely with City of Edinburgh on its plans for congestion charging in the early 2000s. She is also a SUSTRANS UK Trustee, and the Centre for Climate Justice Advisory Group. David Hunter is an independent consultant whose wide range of transport roles began as a full time volunteer for Manchester Community Transport. He became the first Chair of Kensington and Chelsea Dial-a-Ride, before founding the London Dial-a-Ride Users Association (now Transport for All) and heading Accessible Transport teams at Lothian and Edinburgh Councils. He led corporate strategy, governance and planning functions at the National Library of Scotland from 2003 to 2013 including preparation of the 2012 National Library of Scotland Act. Non-executive positions include membership of the Bus User Complaints Tribunal and the ESRC Grant Advisory Panels. David’s interests include pedestrian issues, accessible transport, consumer involvement in public services and links to wider public policy and he has written extensively on these topics in public, professional and academic media. Stephen Stradling was Reader in the Behavioural Aspects of Transport at TRI from 1998 and Professor of Transport Psychology from 2001 to 2009. He is now a professor emeritus and continues to publish on driver behaviour (e.g., Accident Analysis & Prevention 2013; BMJ 2014, 2015) and modal choice (Handbook of Traffic Psychology, 2011), contribute to review projects (Novice drivers: Evidence Review and Evaluation. Pre-driver training, Graduated Driver Licensing and the New Drivers Act. Project report RPN2553. Transport Research Laboratory 2013) and pontificate at road safety conferences. David Scotney has worked on transport research, planning and engineering for over 45 years; in the public, private and academic sectors. He is a Board Member of the Tayside and Central Scotland Regional Transport Partnership (TACTRAN) and is a Reviewer for the Transport Planning Society’s Professional Development Scheme. Professionally he is both a Chartered Civil Engineer and a Transport Planning Professional. He has been a Research Fellow with TRI since 2010, renewing a link originally established as a part-time lecturer in the 1980s, and has worked on the EU-funded EcoMobility SHIFT and Transport Learning projects. His interests cover most aspects of transport research and planning; although recently they have majored on policy development, rural public transport provision and project evaluation. He has authored a major global study of the provision and use of narrow gauge railways. Mike Maher is a specialist in the mathematical and statistical modelling of transport problems. In over 40 years of research, he has worked mainly in the areas of network modelling (traffic assignment, OD estimation), optimisation methodology, and traffic safety modelling (predictive accident modelling, and regression to the mean). He has held a number of EPSRC research grants, published in excess of 130 papers, and is a Fellow of the Transport Research Foundation and of the Institute of Mathematics and its Applications. He worked at Napier University between 1994 and 2007. Since retiring from Napier, he has been a part-time Research Professor in the Mathematical Analysis of Transport Systems at the Institute for Transport Studies, Leeds until the end of 2013, and now is an Honorary Professor at University College London. He continues as a member of the Editorial Advisory Board of the leading international journal Accident Analysis and Prevention, and has recently provided advice to the Scottish government on its analysis of speed camera data. Malcolm has pursued a deep interest in cycling policies and research. His work has been published in peer-reviewed journals, and presented at national and international conferences. He participated in the European scientific collaboration COST TU1101. He has carried out research and produced reports for the Scottish Executive, Cycling Scotland, the Transport and Health Study Group and Cycle Law Scotland. Malcolm is a member of the Transport and Health Study Group and contributed the bulk of the cycling content of its e-book Health on the Move 2. He has contributed to the policies of the National Institute for Clinical Excellence, the Faculty of Public Health and the Scottish Health Impact Assessment Network. He is an Editorial Board member of the Journal of Transport and Health. Up until April 2018, this activity was a private interest alongside working full time as a professional engineer, latterly as a consulting engineer with PM Group. This work included designs of upgrades to a top-tier COMAH site, LNG plant, biomethane plant, as well as several high pressure gas transmission installations. The work demanded stringent compliance with legislation, initiative, creativity, imagination and attention to detail.